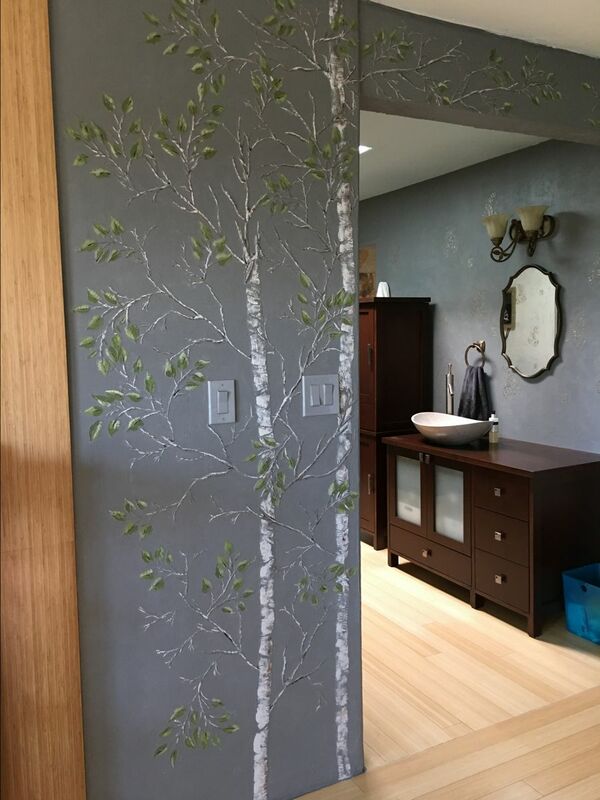 Dori thought she would give it a try: Our life-sized, Raised Plaster Aspen Tree Stencil Set. 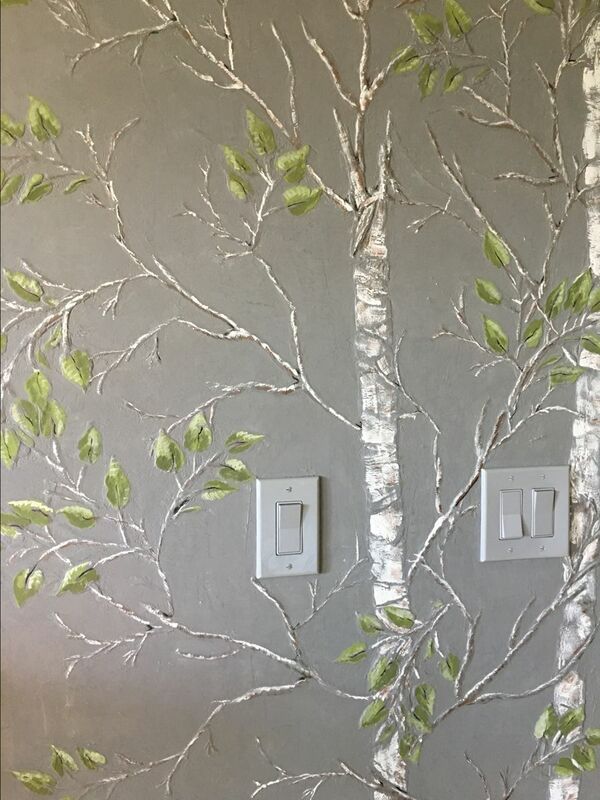 She first painted her walls deep gray then using joint compound, repeated the trunk from the baseboard up to the ceiling. Adding side branches came next then the leafy branches. On the leaves, she added green paint to the joint compound to save tons of work later! What a lovely addition to this room! Great job Dori! 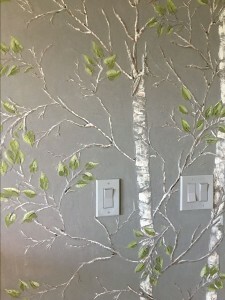 Remember that all of our plaster stencils can also be used with paints!